What method of payment are accepted by Chihuahuaproducts.com ? 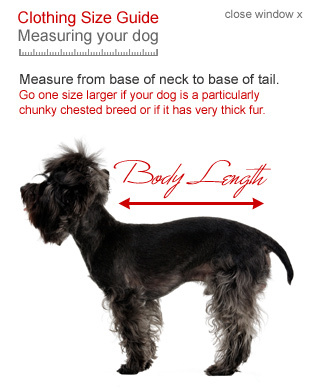 Registering with Chihuahuaproducts.com helps make the ordering process as quick and easy as possible and allows you to keep track of your orders online. Though you can checkout without registering by clicking the 'Express Checkout' option. No. 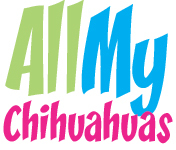 You will receive marketing material if you sign up to the Chihuahuaproducts.com newsletter. The newsletter is optional and you can be removed from the Chihuahuaproducts.com mailing list at any time. Chihuahuaproducts.com accepts: American Express, Visa, Visa Electron, Maestro / Switch, MasterCard, Solo and Laser. When you reach the final billing stage and press ‘Pay Now’ Chihuahuaproducts.com will immediately contact your bank / card issuer for authorization to take payment from your account. If the payment is authorized you will receive an e-mail within a few minutes confirming your order and a payment will be taken from your account. Goods returned for any other reason must be in pristine condition with labels attached and all original packing in tact. In order to return goods you must first contact us and return the goods within 14 days from receipt of the goods. Chihuahuaproducts.com will refund the purchased price of the item(s).